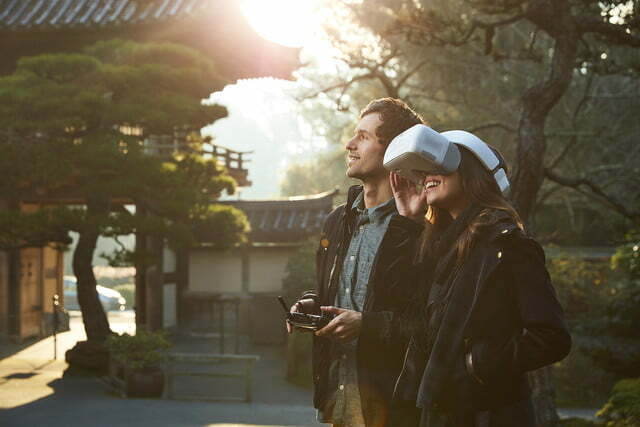 DJI’s new first-person view (FPV) goggles are about more than just getting a bird’s-eye view of the flight — you can control the drone with them, too. 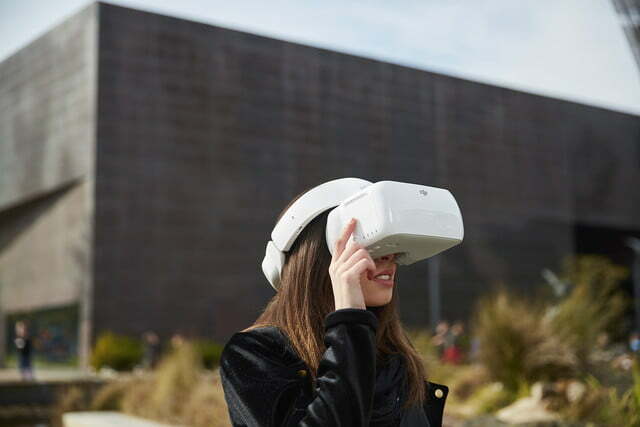 On Monday, the company announced the full specs and features of the FPV headset, called simply DJI Goggles, after teasing about the release during the launch of the Mavic Pro late last year. 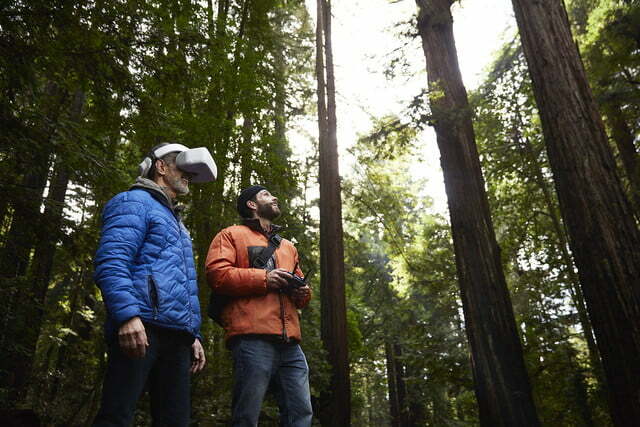 The Goggles are the drone giant’s first FPV headset. The Goggles put two 1,920 x 1,080 screens in front of each eye — the equivalent of looking at a 216-inch TV from less than 10 feet away, DJI says. 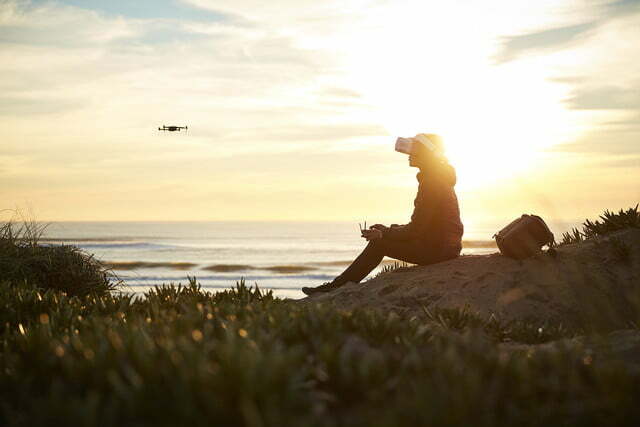 With the Mavic Pro, the Goggles receive 1080p transmissions at 30 fps or 720p at 60 fps, though the FPV headset is also compatible with DJI’s Phantom 4 series and Inspire 2 series. 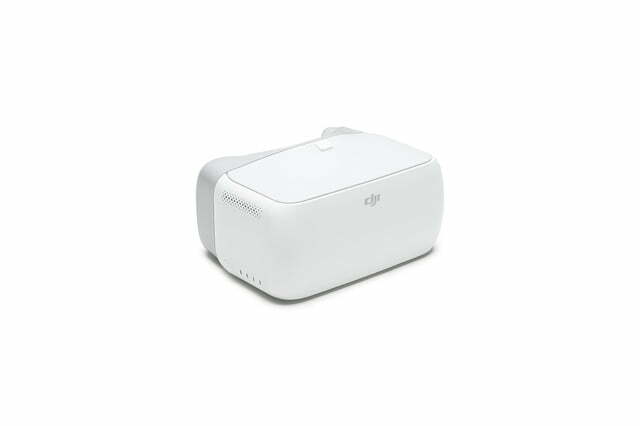 But DJI Goggles are about more than getting that first-person perspective — different control modes allow a turn of the head to adjust the direction of the drone, or the movement of the gimbal. 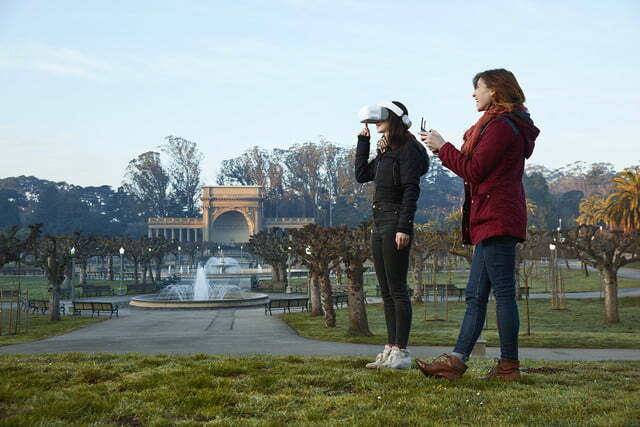 The feature uses sensors inside the headset to control the yaw, or direction of the drone twisting on a vertical axis, or the tilt of the camera via the on-board gimbal. DJI explains that the control works much like a controller’s joysticks — straightening your head stops the turn just like returning the joystick back to the neutral position. 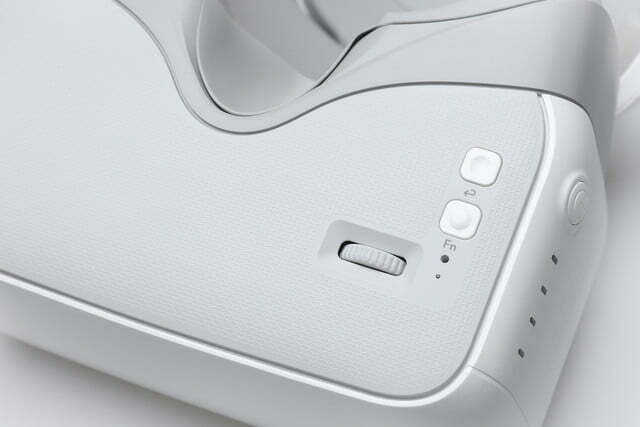 Along with the motion control, a touchpad on the side of the visor offers quick access to DJI’s intelligent flight modes, like ActiveTrack, TapFly and Terrain Follow, as well as the Goggles other settings via an internal menu. 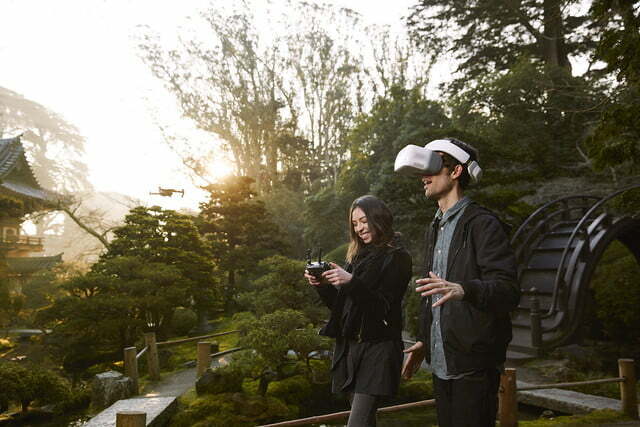 Up to two DJI Goggles can be connected to the Mavic Pro drone wirelessly and users can also choose to bypass the controller for less lag time. 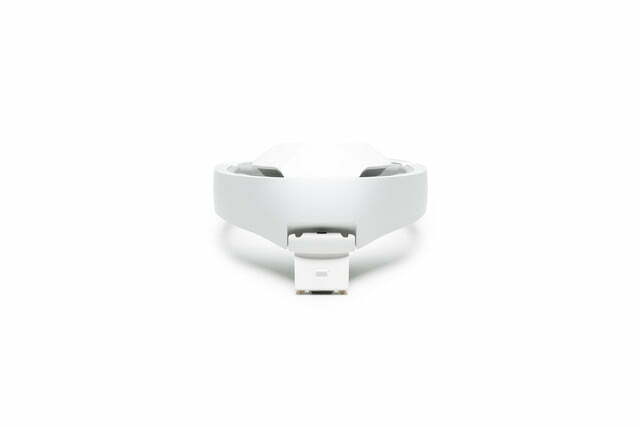 The Goggles can also be used with the Phantom 4, Phantom 4 Advanced, Phantom 4 Pro and Inspire 2 but that is using a direct connection with the controller’s USB port. 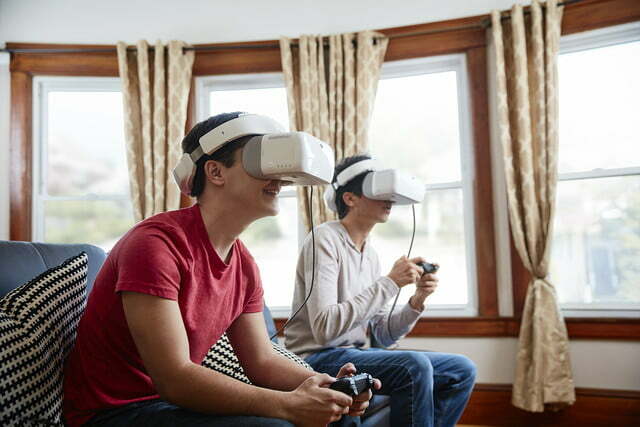 Once the flight is finished, the Goggles can also preview the footage using the microSD card slot or double as video game goggles using the HDMI port. The battery life is rated for up to six hours, DJI says. With the control features, the Goggles can be used for piloting the drone, allowing a photographer and pilot to work together or giving a spectator a pretty nice view — though DJI suggests pilots using the Goggles have a spotter on hand to see what the pilot can’t from the drone camera. The Goggles are expected to start shipping on May 20 for pilots with an extra $449 lying around.